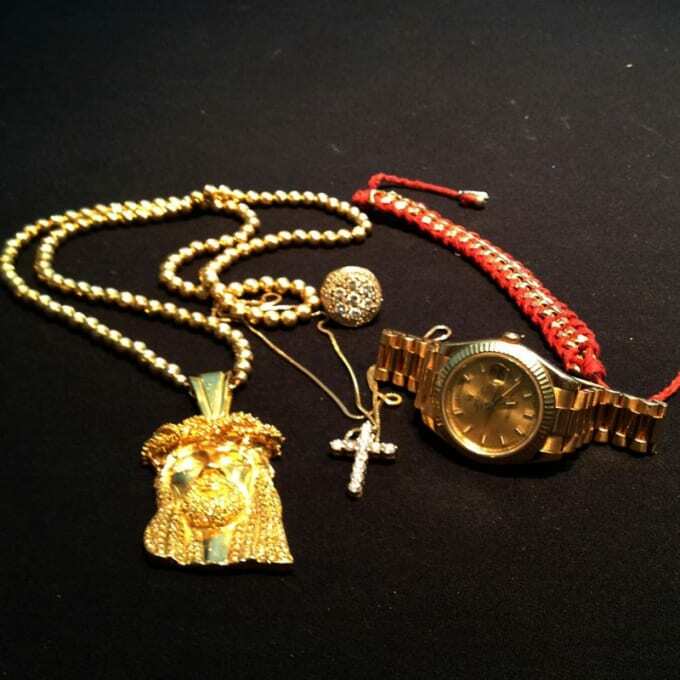 "I would say my Rolex, my pinky ring, and my cross are my initial set-ups. A grown man keeps a good watch on his wrist. It’s appropriate. My ring is another jewelry piece that just plays off my watch, but it's not the same thing. My cross symbolizes a lot of things. It’s another touch of flash and jewelry. It’s a diamond cross, but it’s small, it’s not gaudy. It's not trying to grab too much attention, but still a 'you got to respect it' kind of thing."